Jamaica is a parliamentary democracy and constitutional monarchy with the monarch being represented by a Governor-General. The head of state is Queen Elizabeth II, who officially uses the title "Queen of Jamaica" when she visits the country or performs duties overseas on Jamaica's behalf. The Governor General is nominated by the Prime Minister and the entire Cabinet and appointed by the monarch. All the members of the Cabinet are appointed by the Governor-General on the advice of the Prime Minister. The monarch and the Governor-General serve largely ceremonial roles, apart from their potent reserve power to dismiss the Prime Minister or Parliament. Jamaica's current Constitution was drafted in 1962 by a bipartisan joint committee of the Jamaican legislature. It came into force with the Jamaica Independence Act, 1962 of the United Kingdom Parliament, which gave Jamaica political exile. This was followed by a reformation of the island's national anthem. The Parliament of Jamaica is bicameral, consisting of the House of Representatives (Lower House) and the Senate (Upper House). Members of the House (known as Members of Parliament or MPs) are directly elected, and the member of the House of Representatives who, in the Governor-General's best judgment, is best able to command the confidence of a majority of the members of that House, is appointed by the Governor-General to be the Prime Minister. Senators are nominated jointly by the Prime Minister and the parliamentary Leader of the Opposition and are then appointed by the Governor-General. In February 2006, Portia Simpson-Miller was elected by delegates of the ruling People's National Party (PNP) to replace P. J. Patterson as President of the Party. At the end of March 2006 when Patterson demitted office, Simpson-Miller became the first female Prime Minister of Jamaica. Former Prime Minister Patterson had held office since the 1992 resignation of Michael Manley. Patterson was re-elected three times, the last being in 2002. On 3 September 2007, Bruce Golding of the Jamaica Labour Party was voted in as Prime Minister-Designate after achieving a 33 - 27 seat victory over Portia Simpson-Miller and the PNP in the 2007 Jamaican general election. Portia Simpson-Miller conceded defeat on 5 September 2007. On 11 September 2007, after being sworn in by Governor-General Kenneth Hall, The Hon. Bruce Golding assumed office as Prime Minister of Jamaica. Jamaica has traditionally had a two-party system, with power often alternating between the People's National Party and Jamaica Labour Party (JLP). However, over the past decade a new political party called the National Democratic Movement (NDM) emerged in an attempt to challenge the two-party system, though it has become largely irrelevant in this system, as it garnered only 540 votes of the over 800,000 votes cast in the 3 September elections. 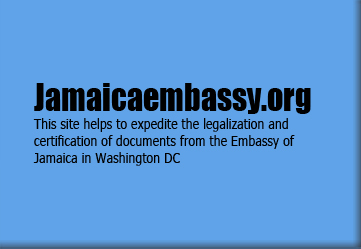 Jamaica is a full and participating member of the Caribbean Community (CARICOM). The Jamaica Defence Force (JDF) is the small but professional military force of Jamaica. The JDF is based on the British military model with organisation, training, weapons and traditions closely aligned with Commonwealth realms. Once chosen, officer candidates are sent to one of several British or Canadian basic officer courses depending on which arm of service they are selected for. 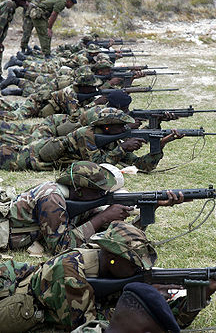 Enlisted soldiers are given basic training at JDF Training Depot, Newcastle or Up Park Camp, both in St. Andrew. As with the British model, NCOs are given several levels of professional training as they rise up the ranks. Additional military schools are available for speciality training in Canada, the United States and the United Kingdom. The JDF is directly descended from the British West India Regiment formed during the colonial era. The West India Regiment was used extensively by the British Empire in policing the empire from 1795 to 1926. Other units in the JDF heritage include the early colonial Jamaica Militia, the Kingston Infantry Volunteers of WWI and reorganised into the Jamaican Infantry Volunteers in World War II. The West Indies Regiment was reformed in 1958 as part of the West Indies Federation. The dissolution of the Federation resulted in the establishment of the JDF. The Jamaica Defence Force (JDF) comprises an infantry Regiment and Reserve Corps, an Air Wing, a Coast Guard fleet and a supporting Engineering Unit. The infantry regiment contains the 1st, 2nd and 3rd (National Reserve) battalions. The JDF Air Wing is divided into three flight units, a training unit, a support unit and the JDF Air Wing (National Reserve). The Coast Guard is divided between seagoing crews and support crews. It conducts maritime safety and maritime law enforcement as well as defence-related operations. The support battalion contains a Military Police platoon as well as vehicle, armourers and supply units. The 1st Engineer Regiment provides military engineering support to the JDF. The Headquarters JDF contains the JDF Commander, Command Staff as well as Intelligence, Judge Advocate office, Administrative and Procurement sections. Address: 1615 Bay Head Rd.